Sucrose sugars are sugars contains sucrose that is combined fructose and glucose through glycoside. 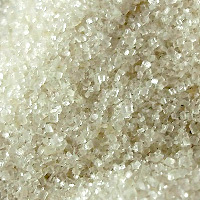 Granulated sugar can be dissolved in water to make sugar water. There are different types of liquid sugar including sucrose sugar and inverted sucrose liquid sugar. The calories in Liquid Sugar Sucrose per 21g(1tbsp) is 57 calories. Liquid Sugar Sucrose is calculated to be 271Cal per 100 grams making 80Cal equivalent to 29.52g with 14.7g of mostly carbohydrates、0g of protein、0g of fat in 21g while being rich in vitamins and minerals such as Copper.